Guangzhou, China-headquartered low-cost retailer Miniso is coming to Israel, the company announced yesterday, with 50 stores planned for the next five years. Over the upcoming year, 10 stores spanning 3200-4300 square feet (300-400 square meters) each will be established in the country for a total investment of $4.26 million (NIS 15 million), with the first store located in Tel Aviv. 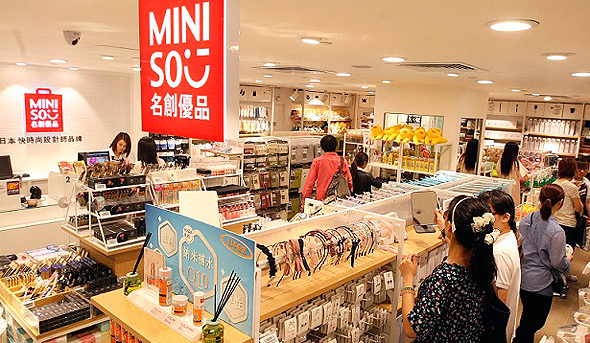 Since opening its first store in China in 2013, Miniso has opened over 1,800 stores, with 80-100 new stores opening every month. The brand, which was co-founded by Chinese entrepreneur Ye Guo Fu and Japanese designer Junya Miyake, estimates that it will number 6,000 stores by 2025 and reach revenues of $9 billion in 2018. The brand specializes in household and consumer goods such as kitchenware, cosmetics, cutesy accessories, and paper products. The company has previously been criticized for being too similar to more expensive Japanese brands, such as retail chain Muji, and to low-cost retailer Daiso, which in January announced it intends to enter the Israeli market under the franchise holder for H&M. In Israel, 50% of the franchise will be owned by Gonen Cohen and Nir Yakobov, two Israeli businessmen operating in China. The remaining share will be mostly owned by Israeli brothers Yitzhak and Sharon Nisanov, who have business interests in diamonds and real estate. Shlomi Gabay, formerly the CEO of Ikea Israel, will manage the franchise in Israel.